When we go outside, it’s often to get away from it all – but that doesn’t mean that technology doesn’t have its place in the backpacker’s world. 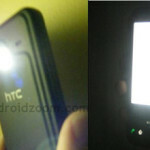 With over one million apps available, backpackers need to know which apps have what they need to make adventure happen. 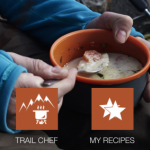 This list of the top 5 apps for outdoor enthusiasts will help you get a handle on what’s out there that can help you get out there. Gociety markets itself as a “social network for people who love the outdoors.” Here’s how it works: you make a personal profile that includes your general location and your areas of outdoor interest (along with your experience level within the specific activity). Then you can browse what people in your area are “planning.” Whether it’s a backcountry skiing trip, a day hike, or a beach bonfire, you can check out the plan and join it to meet up and adventure together. 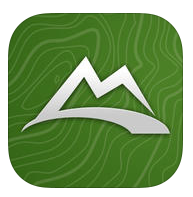 Every outdoorsman in the digital age needs a GPS app, and MotionX GPS has been consistently rated as one of the very best. 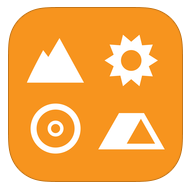 Download and store topographic maps for your next adventure. 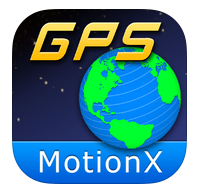 With MotionX GPS, you can map your trip and track your distance, time and speed along the route. 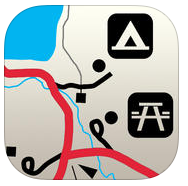 Backcountry skiing, cycling, hiking – these maps will get you where you want to go outside. How many times have you re-written your backpacking gear list only to leave something off the list and behind at home again? 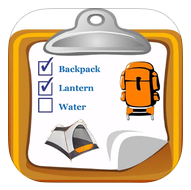 Instead, let the Backpacker Checklist do the work. The app houses all of the gear you could possibly need to remember and allows you to make and save different lists for different trips. A cool feature with this checklist is that it can estimate the weight of your gear and turn out a figure for how much your pack will weigh. You’ve planned the trip, picked up your topo, made the trek, and when you get inside the park, you can’t even find the trailhead from the parking lot. That’s where Park Maps comes in. With this app, you can download the map of the National Park you’re headed to ahead of time so that you can access the information off-line within the park. Mount Rainier National Park and Olympic National Park are both included on the downloadable list. AllTrails has beta for over 50,000 trails throughout the U.S. – that means you can find a wealth of ideas for this weekend’s day hike near you or plan activities for when you go out of town. 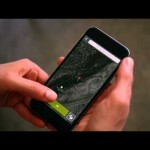 The app includes trail info and topo maps along with reviews so that you can hear what other people are saying before you decide where you want to go.